I took the maya nif plugin and the niflib and updated them. It should work better than the max plugin since I fixed a couple of bugs in the niflib which my version uses :P.
You should know how to use blind data to use this plugin. Import and study existing meshes to figure it out. To install, copy the Maya2016 folder into your Autodesk folder or the contents of it directly into your maya installation folder. DO NOT FORGET TO ADD PROPER SETTINGS WHEN EXPORTING THIS. BONES PER PARTITION MUST BE 4, USER VERSION2 MUST BE 83 AND USER VERSION1/ENGINE VERSION MUST BE 12. The nif format version must be 20.2.0.7. If you have troubles and clipping issues once you export this change the tolerance for removing insignificant weights. To use this, please take a look at the niftools menu once you install this. 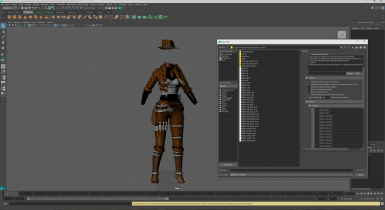 There you will see several options for setting the materials, animations and special rigging for skyrim or fallout (not officially supported). You can import an existing mesh and see how it is set up. For materials, only phong shader is properly supported. You need to set up some additional textures as custom attributes on the shader. This is done automatically by the niftools menu options for materials. 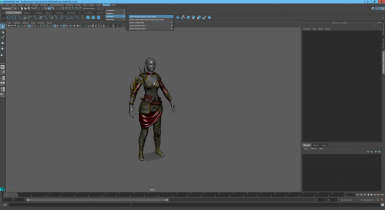 For rigging for Skyrim, you need to use the blind data editor. To use it enter in the MEL command box, left corner down, blindDataEditor. With this editor you can split the mesh into various groups that are needed for Skyrim. Without those groups any custom meshes will crash. You can select some faces once you enter the command "blindDataEditor" and if you press apply, it will color the mesh. You must use integer values with the value 1 to color each face. For each group there should be a custom node, a nifDismemberPartition from the niftools menu rigging.